That was a pretty awesome smoked pork belly sandwich! 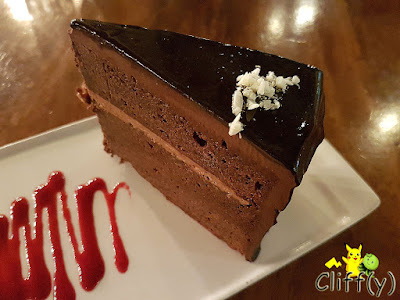 Situated at Turf Club Road near the horse stables, Tin Hill Social Kitchen and Bar offers a relaxing ambience for its patrons to have a meal or simply chill out with a glass of drink or two. As I looked at the website just now, it appears that the eatery has made some changes to the menu. Nevertheless, all the items that I tried that day are still available. 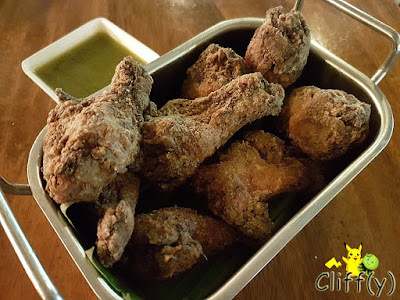 Dusted with garlic powder, the deep-fried chicken drumlets were quite juicy. I was hoping for the skin to be crunchier though. They came with jalapeño dip that was mildly spicy and pretty smooth in terms of texture. For that price, the amount of drumlets was certainly not disappointing - a bit too much for two people, in fact. 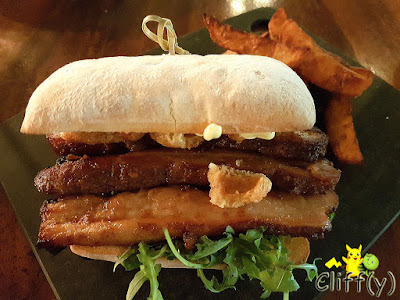 The waiter who took my order recommended the smoked pork belly sanger (an informal term for sandwich in Australian English). The succulent meat was really fragrant, not to mention that it was sinful too. It came with a few fried pork rinds and rocket leaves, as well as potato wedges on the side. The pasta main course didn't really amaze me, given that it was a tad too wet for my liking and not having an adequate amount of garlic. 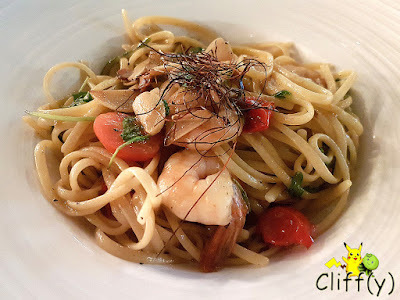 Having said that, the linguine was cooked pretty well and the shrimps were pretty springy. The cherry tomatoes were bursting with naturally sweet juice. Service was pretty slow even though there were only a few diners that afternoon. 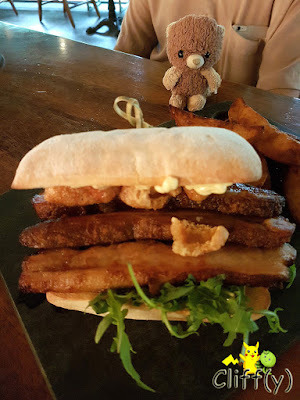 Pika's advice: For a variety of more substantial (and more expensive as well) main courses, do go down to the eatery after 6.00pm.